It is also an avenue to prevent the pestilence that comes with outdoor cultivation. Looking to have a basic knowledge that can be leveraged to grow great plants? Then this is the audiobook for you! Major and minor parts involved in the cultivation of cannabis are thoroughly handled. From the design and type of sanctuary space to the kind of nutrients, lightning to temperature, pest control to flow of air; everything you need to grow potent strains of marijuana is just within your grasp. Each stage of cultivation from obtaining the seeds to drying and curing is fully explained in terms that you can easily understand and put to practice immediately. Grow your stash while employing high safety standards. Learn how to secure a discrete growing space in a confined area. Have the ability to determine the potency of your product. Applying the best nutrients formulas to your plants. Crossing and identifying the best strain for you. Getting all unfertilized female plants (Sensimilla). Making the best use of the hydroponics. 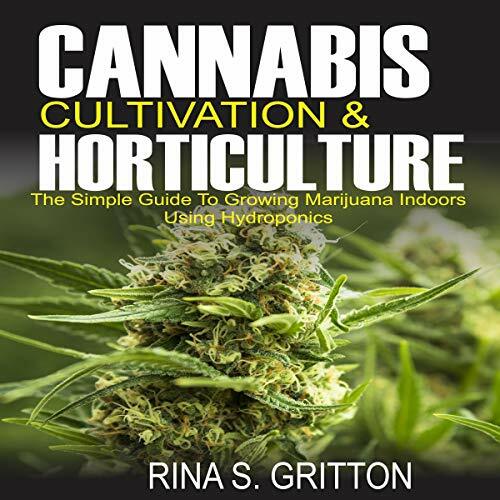 Getting started with this book will make you an enlightened cultivator and appreciator of everything cannabis and not just a grower. Buy this book now and have a high time! struggled to stay focused on specifics, alot of side information about common sense. low rating from me.